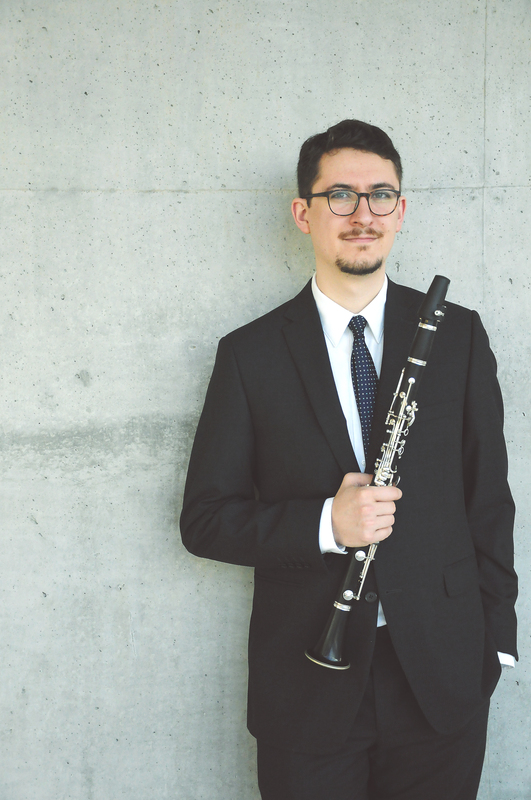 Canadian clarinetist Liam Hockley is a versatile musician whose creative practice bridges the traditional repertoire of his instrument with the creation and promotion of new and experimental music. As an artist for whom “alternative or avant-garde approaches to his instrument are only part of the everyday tool kit” (Georgia Straight), Liam’s repertoire encompasses not only the major works for his instrument, but also the results of numerous collaborations with Canadian and international composers on innovative new works across a broad spectrum of aesthetics. Recent performances include premieres of new works by Ray Evanoff, Kimberley Manerkirar, Eva-Maria Houben, Stefan Maier, and Joan Arnau Pàmies, as well as the North American premieres of works by Karlheinz Stockhausen, Michelle Lou, Horatiu Radulescu, and Jürg Frey. Liam has been the recipient of numerous prizes and awards including an interpretation prize at the 16th Stockhausen-Konzert und -Kurse Kürten in 2015. Liam has performed at Music on Main (Vancouver), SALT New Music Festival and Symposium (Victoria), KLANGRAUM (Düsseldorf), Stockhausen-Konzert und -Kurse Kürten, A Place to Listen (Victoria), the Banff Centre for the Arts and Creativity, NUNC! (Evanston), the Vancouver New Music Festival, and the Kuandu Arts Festival (Taipei). He maintains an active schedule of performances as a freelancer with diverse chamber ensembles, and has performed with the Vancouver Symphony Orchestra, Vancouver Island Symphony, Vancouver Metropolitan Orchestra, Turning Point Ensemble, Vancouver New Music, and NU:BC Collective. Liam has appeared as a soloist with the the University of British Columbia Symphonic Wind Ensemble (2016), the Victoria Symphony (2011), and the Greater Victoria Youth Orchestra (2009). 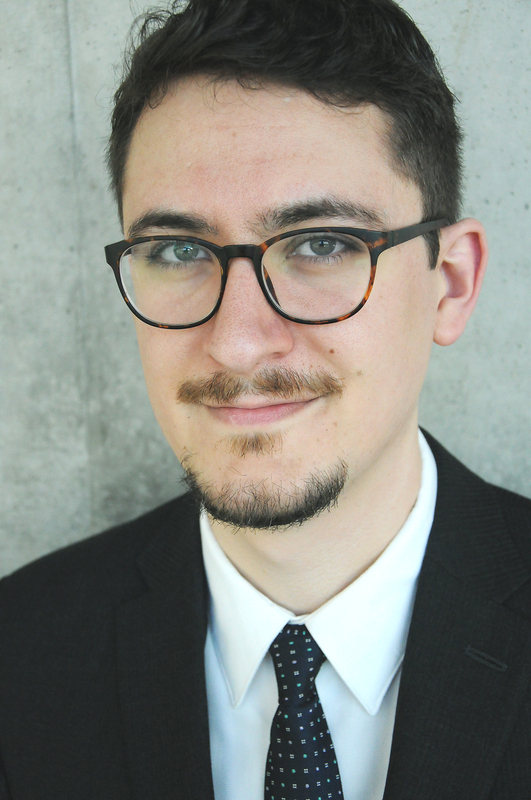 He has been featured as an Emerging Artist-in-Residence with the Music on Main concert series and his chamber duo (Duo 1010) is the core of the SFU School for the Contemporary Arts Ensemble in Residence for the 18/19 academic year. Liam has recently completed a Doctor of Musical Arts degree in clarinet performance at the University of British Columbia. His dissertation, “Performing Complexity,” examines performer agency in works that feature musical/physical ‘impossibilities’, hyper-extended instrumental techniques, and complex notational systems and is supported by the prestigious Joseph-Armand Bombardier Canada Graduate Scholarship (SSHRC) and a University of British Columbia Doctoral Fellowship. Liam holds a Master’s degree from the University of British Columbia, and received his Bachelor’s degree from the University of Victoria, graduating with distinction in clarinet performance. His teachers have included François Houle, Cris Inguanti, Patricia Kostek, Earl Thomas, and Christian Gossart. This list contains a selection of works that Liam has performed as a soloist or an ensemble musician. Ter Schiphorst – Hi Bill! Kurtág – Duos from Játékok és üzenetek, Hommage à R.Sch. Duo 1010 consists of Stephanie Bell (flutes) and Liam Hockley (clarinets) and was founded while they were students at the University of British Columbia. Both compelling and dedicated performers in their own rights, Duo 1010 takes the major twentieth-century works for flute/clarinet duo as a starting point for their creative work: their core mission is to expand the repertoire for their ensemble and foster musical experimentation across a broad spectrum of aesthetics through intensive collaborations with composers. Duo 1010 has given world and regional premieres of works by Ray Evanoff, Alex Mah, Eva-Maria Houben, and Daniel Brandes; recent performances include KLANGRAUM (Düsseldorf), the Stockhausen-Konzerte und -Kurse Kürten, and A Place to Listen (Victoria). Duo 1010 is pleased to be the core of the new Ensemble in Residence program at the Simon Fraser University School for Contemporary Arts during the 2018/19 academic year. Please visit and subscribe to my SoundCloud and YouTube pages for more content and new uploads! "Conflicting Messages: Performer Agency in Contemporary Aestheitcs"
"Towards a Redefinion of Performer"
...es kömmt drauf an, sie zu verändern. Liam is available for hire as a private clarinet teacher/clinician in the Greater Vancouver area. Please get in touch via email at info@liamhockleyclarinet.com or by filling out the form on the Contact tab. 2009-present: Private teaching studio. Teaching beginning students through to post-BMus students, recital/RCM preparation. —If you are interested in regularly-scheduled lessons, they must be purchased and pre-paid by cash or cheque in four-week blocks. We will work together to find a regular time for your lessons and I will keep clear attendance records to ensure that you are getting what you have paid for. You have the option of scheduling a single "trial" lesson (at normal rates) before committing to and purchasing a monthly block. —If your scheduling does not allow for regularly-scheduled lessons, individual drop-in lessons can be a good option. In this case, lessons must be paid by cash or cheque during our meeting. —24-hour cancellation notice is strictly required. With appropriate notice, I will credit the tuition of your missed session towards either a make-up lesson to be scheduled at a mutually convenient time or towards one of the lessons from your next pre-paid block. —Cancellations without 24-hour notice or "no-shows" will not be refunded except for some extenuating circumstances at the sole discretion of the instructor. Liam is an experienced professional available for hire as a freelance musician (clarinet, E-flat clarinet, bass clarinet, and basset horn) in solo, chamber, and orchestral contexts in the Greater Vancouver and Central/South Vancouver Island areas. He is most easily reached via email at info@liamhockleyclarinet.com or by filling out the form below. Testing out instrument-based controllers for live electronics and video with UBC SUBclass, 2015. © Liam Hockley, 2019. All rights reserved.